Not all marriage vows end in happily ever after. The reality is that many marriages end in divorce. The way in which a couple decides to proceed through the divorce process can have a lasting impact on the family, including the children. Litigating dissolution of marriage inside of a courtroom is not the only option. Divorce mediation can lessen the discourse, cost and time it takes to reach a final resolution. Most Minnesota judges encourage couples to consider mediation as an alternative dispute resolution process. This allows individuals to take charge of their own divorce process and solution. 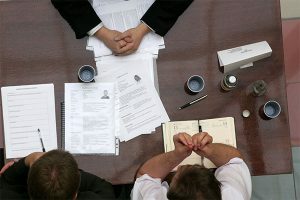 Johnson Mediation provides alternative dispute resolution services in the form of divorce mediation, financial early neutral evaluations and social early neutral evaluation. Alternative Dispute Resolution (ADR) is a method by which parties can resolve disputes outside of the courtroom. Common forms of ADR include arbitration, mediation, and early neutral evaluations. Courts may review the ADR method, or result, but they rarely overturn the decisions made and agreed upon during mediation. Your participation in the mediation process is voluntary. However, for several financial and emotional reasons, a growing number of couples are choosing to work with a trained divorce mediator rather than being a courtroom litigant. A skilled divorce mediator can provide excellent assistance with the numerous ups and downs, twists and turns and curveballs that a typical divorce often includes. Relationships and financial issues can be resolved through a streamlined process. The job of a divorce mediator is in large part to help couples navigate the divorce process, improve communication, create a parenting plan, and prepare for life after divorce. Professional mediators like Jeff Johnson have training in ways to effectively and respectfully reach decisions on difficult issues. The way that divorce mediation services are able to assist families to transition into a new normal without the adversarial aspects of contentious courtroom litigation is a real bonus. Johnson Mediation provides both Financial Early Neutral Evaluations (FENE) and Social Early Neutral Evaluation (SENE) services. Both FENE and SENE are forms of Alternative Dispute Resolution (ADR). The process is designed to provide valuable information to aid in reaching an early settlement before finances are depleted or the social fabric of the family is affected through lengthy courtroom proceedings. It may not be possible for all divorces to be handled without the cost and time of courtroom proceedings but Johnson Mediation strives to make the divorce process as civil and painless as possible. Having a neutral mediator as your Minnesota divorce specialist can save you money, time and stress. We provide alternative dispute resolution services including Divorce Mediation and Early Neutral Evaluations. 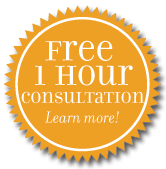 Contact Johnson Mediation for Alternate Dispute Resolution Services at: (952) 401-7599.